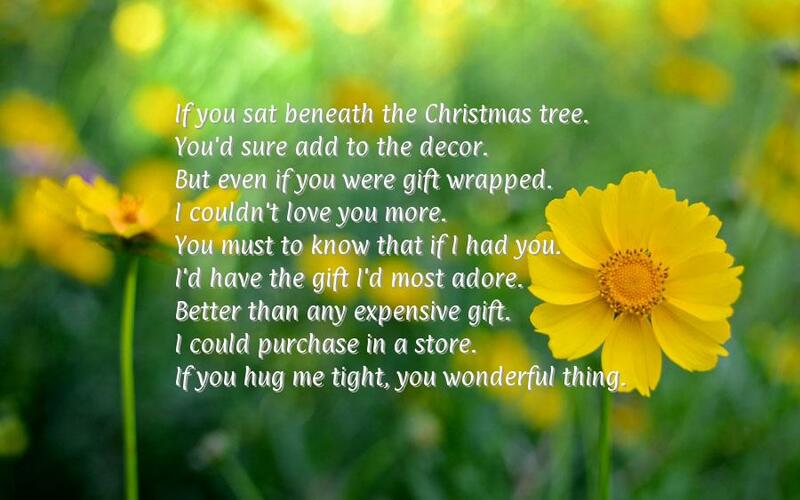 If you sat beneath the Christmas tree. You'd sure add to the decor. 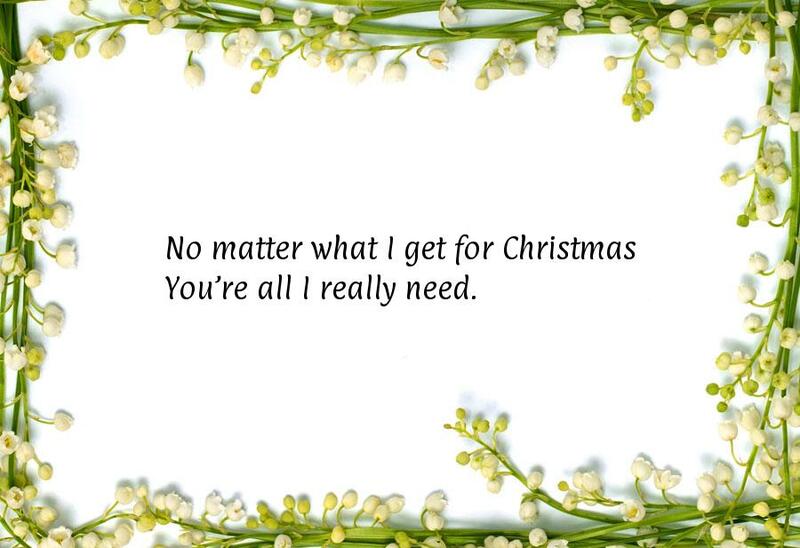 But even if you were gift wrapped. I couldn't love you more. You must to know that if I had you. I'd have the gift I'd most adore. Better than any expensive gift. I could purchase in a store. If you hug me tight, you wonderful thing. 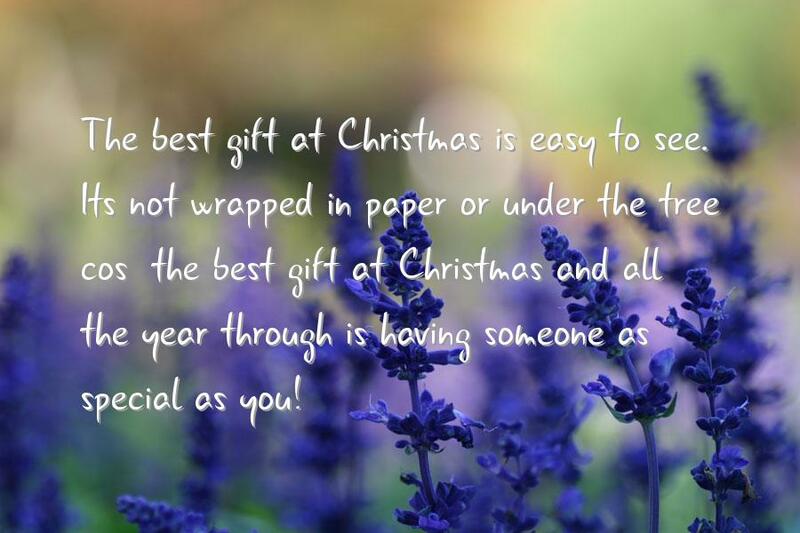 The best gift at Christmas Is easy to see Its not wrapped in paper Or under the tree Cos' the best gift at Christmas And all the year through Is having someone As special as you! 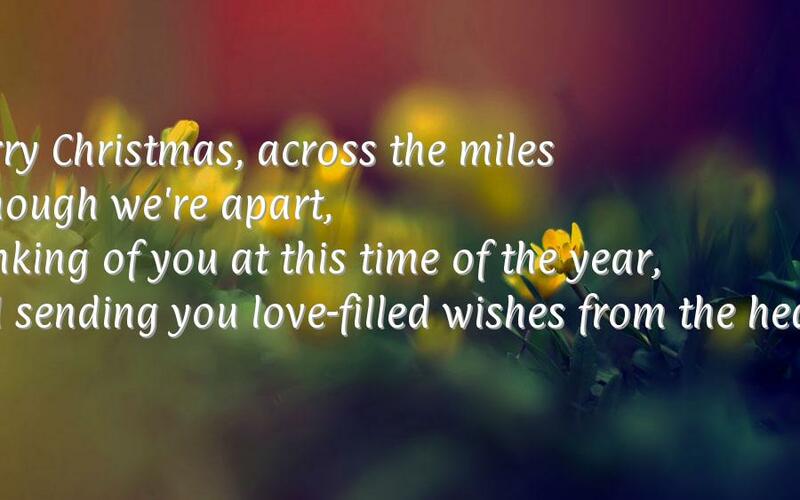 Merry Christmas, across the miles Although we're apart, Thinking of you at this time of the year, And sending you love-filled wishes from the heart.